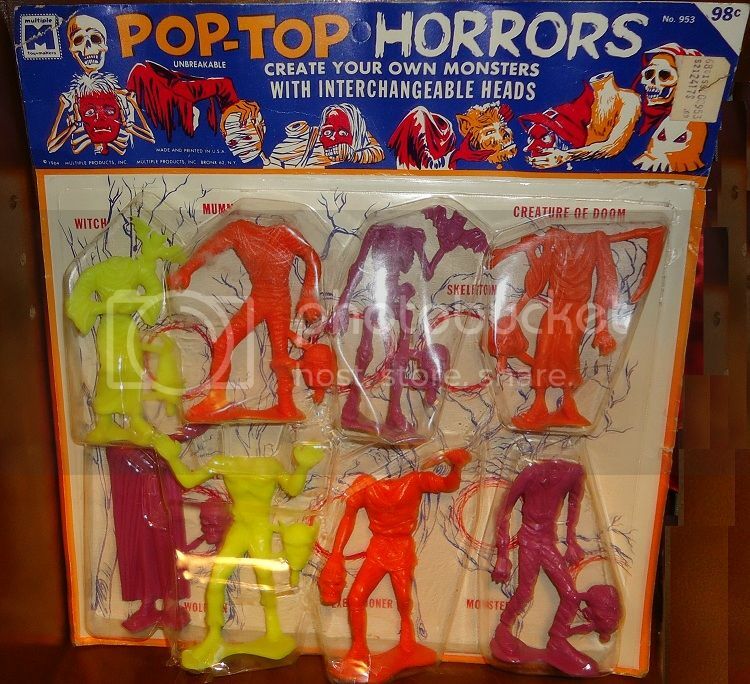 Side note: Speaking of molded/mono-colored monster figures, what about the ones with swappable heads? (And maybe other swappable parts?) My brother gave me a few many years ago. Much larger than the typical Palmer/playset scale if memory serves, and I vaguely recall a witch, skeleton, and maybe an executioner - ? Ooooo, yes, I even remember the packaging now!! 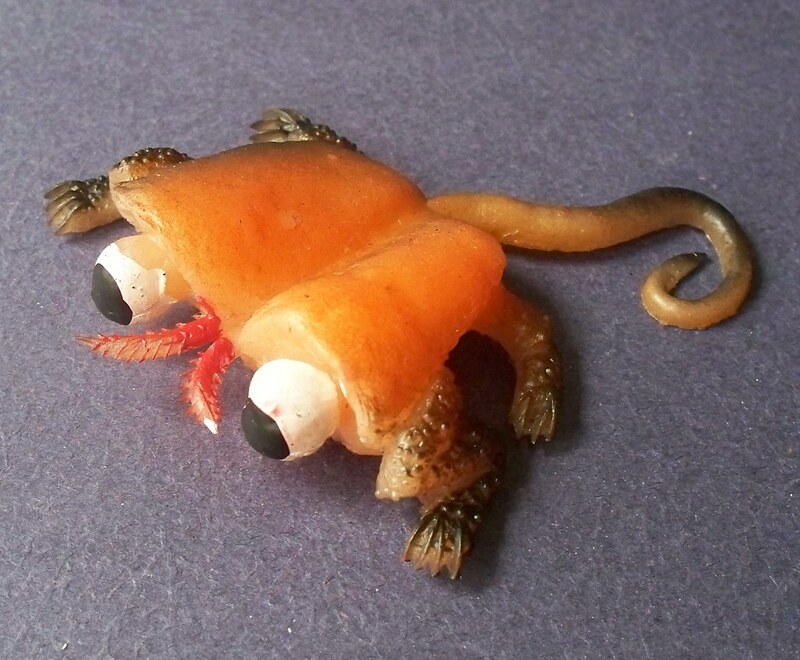 (Though his were in individual baggies, as I recall.) I love this multipack. Some interesting, atypical choices....if only more (insect, reptilian, supernatural) monsters were available it'd be a near-prefect range! I'll be needing the full set, of course. I'm READY for Pop Top Horrors 2018: Sun Demon! She Beast! 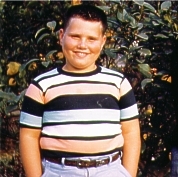 Tor Johnson! From Hell it Came! It! I Married a Monster From Outer Space! The Thing! London After Midnight! I'll take some of those! Oh I am right with you there buddy. I have wished for years for more of the single color monsters in cool crazy colors. Kids used to delight in collecting error baseball cards. Topps decided to deliberately issue a few "error" cards each year, to drive up interest in collecting - an prices. Screw that. I think you may be wrong about that. Baseball card dealers were surprised in the 1980s when they found that card collectors weren't interested in error cards, a situation very much unlike that which prevailed in postage stamps. Badly! A very serious deficiency to be sure. Hopefully you address it. In 1966 my family, while on a Florida vacation, ran across the travelling Sinclair dino exhibit that was originally at the World's Fair. They had several MAR dinos prebagged and my parents bought me a bag. 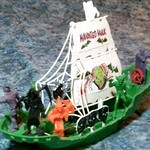 MAR figures don't hold up well to kid-play so those didn't survive the Toybox Wars of the '60s. I replenished my collection through eBay a few years ago. 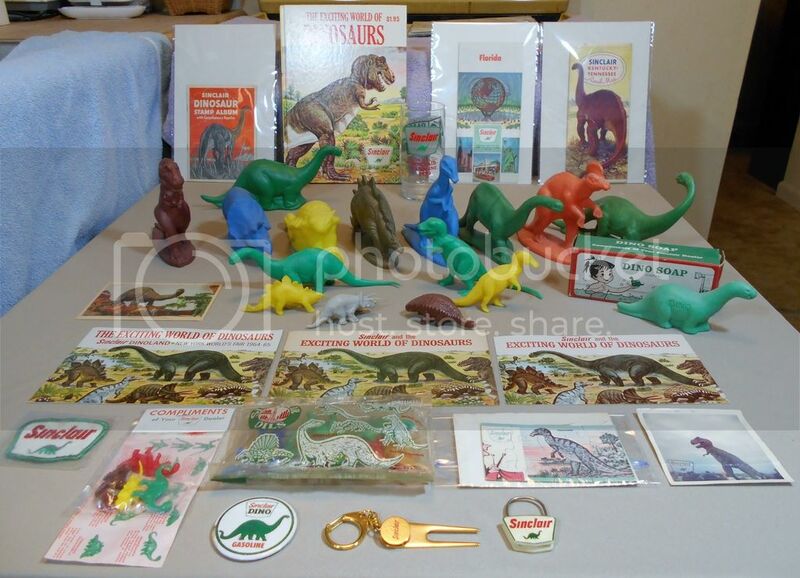 The gator on the far left was purchased from a MAR machine by kid-me on a Florida trip in the '60s. It's from the Reptile Zoo in St. Petersburg. The others I bought off eBay a few years ago. The other gator is marked "Florida Turnpike". The dino is a newer version of the Sinclair Brontosaurus. It's a little smaller and marked "Apatosaurus". Love the deep blue color on that one. I have a small collection I REALLY want to get rid of, Mostly old prehistoric creatures and Wild Cats. E=mail me if interested . They are just taking out space. So, virtually all of the Standers out there are vintage. These figures are VERY fragile and getting scarcer by the day. Still... the prices on them seem to be getting pretty stiff. Glad I collected mine back when the cost was a lot less. You betcha! That's a lot of dough for a little piece of plastic! These figures are VERY fragile and getting scarcer by the day. Still... the prices on them seem to be getting pretty stiff. Fragile? You mean they're brittle and thus prone to breaking/shattering? 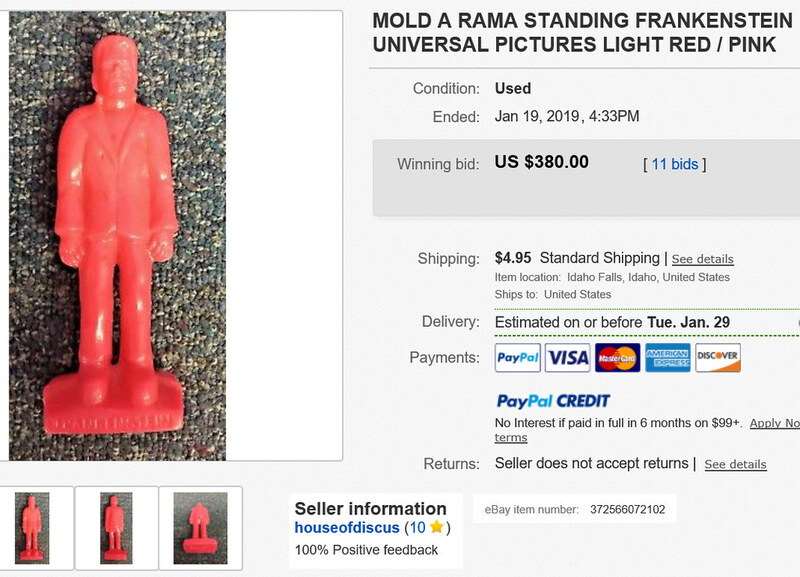 Is that now typical of all Mold-A-Rama figures? It is typical of the Standing Frankensteins. The tend to get vertical cracks - especially in the base and lower legs. I always thought stress lines were formed when the plastic was pushed into the mold through the two holes in the base. Maybe exposure to sunshine weakens them over the years, too. Never noticed it in other castings.